On May 6, 1872, the spring after the county was organized, thirty-nine men met to establish a fair, which they later held at Kingston, close to Pauline and the Little Blue River. It was so well-attended and many people displayed fervent enthusiasm. In fact, the success of the event impressed the public, even those who were skeptical about the original notion of hosting a county fair. This primary iteration presented one white bull, several hogs, and some sod corn for exhibition. 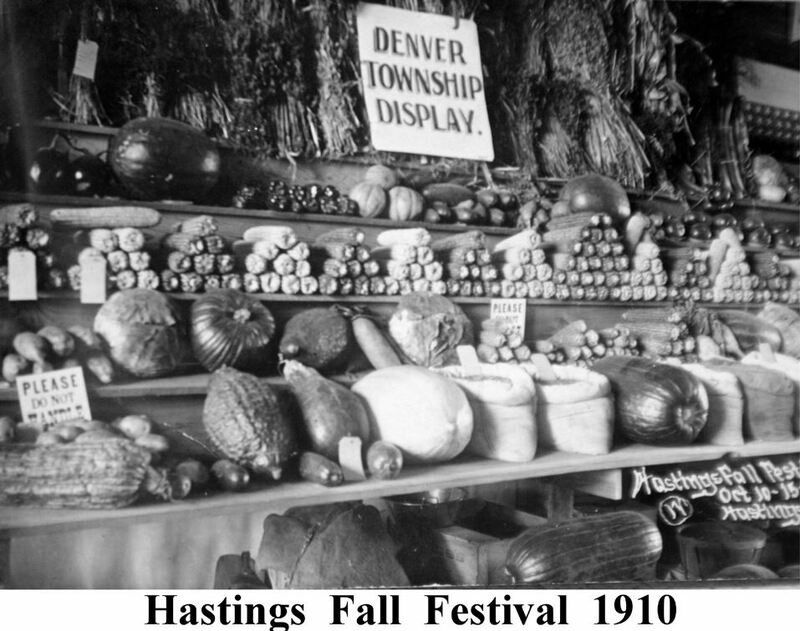 On August 6, 1878, the Hastings Fair Grounds Association was incorporated and issued 300 shares at $10 per share, and purchased a forty-acre tract of property. The tract lay between Third and Seventh Street and California and Elm Avenue. Attractions for the public included a pavilion for agricultural and horticultural exhibits as well as a racetrack utilized for horse-racing – a favorite sport of the pioneers which soon became the feature of the annual show. But in 1884, the land was sold and the District Fair went out of existence. A new association was organized, and members purchased land on the northwest side of town. 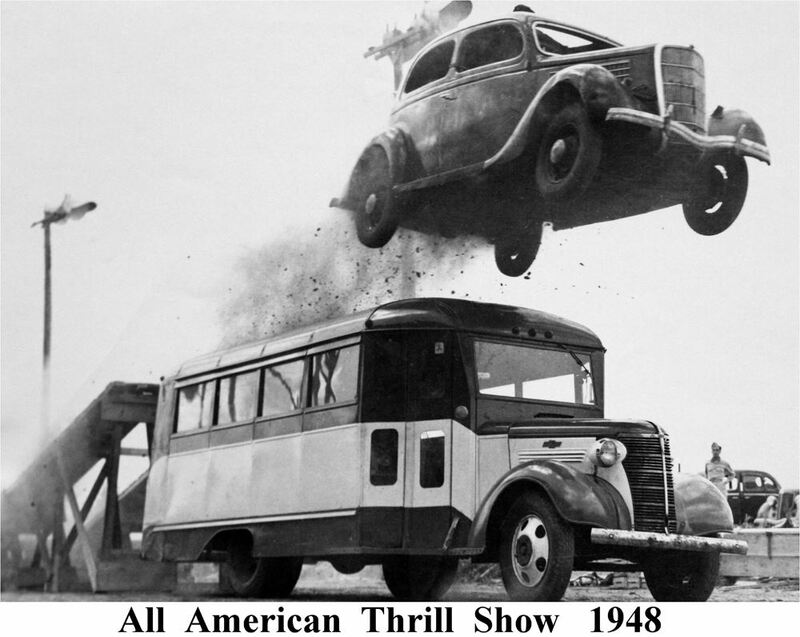 The next few decades brought misfortune to the fairgrounds. For instance, on March 29, 1886, a fire in the stalls of a barn on the grounds burned five horses to death. Additionally, a trainer who had attempted to lead the horses to safety died of his burn injuries the very next day. The depression and drought of the 1890s put a temporary end to the fair. The Agricultural Society had to mortgage the property, but eventually the mortgage was foreclosed. However, despite the unfortunate events in the latter half of the decade, people still hosted street fairs and carnivals. Then, in 1906, a Central District Fair Association was formed, and in 1907, they staged a frontier festival patterned after the Cheyenne Rodeo. A few years later the festival became the “Harvest Jubilee.” This celebratory event involved a crowning of a king and queen at a ball, which was held at Ingleside. By 1915, the festival was retitled the South Platte Exposition. 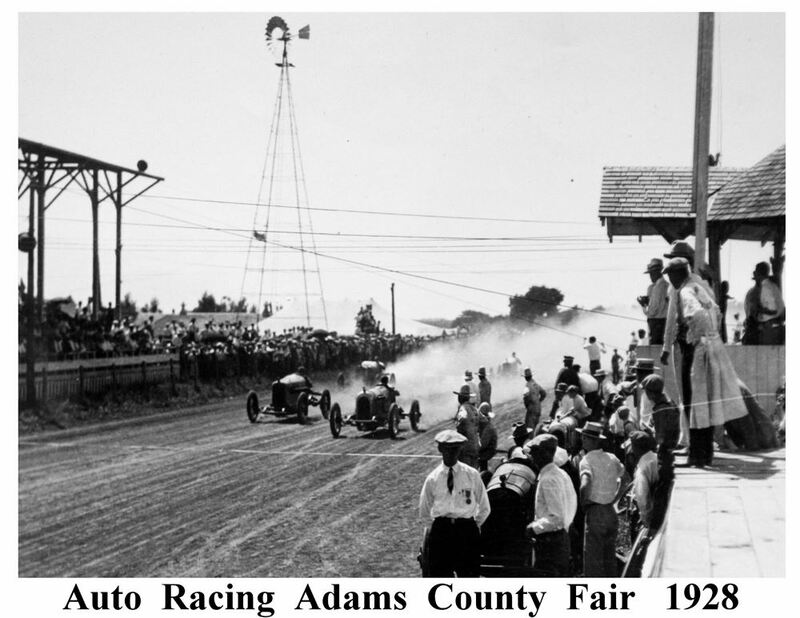 In 1921, the public instated a new county fair organization and this group purchased land at Burlington Avenue and 14th Street for the revival of the Adams County Fair. In 1922, a total of 30,000 persons attended the first three days of the fair, according to newspaper reports. Six buildings had been erected: the grandstand, agricultural hall, race horse barn, and livestock barns for horses, cattle and swine. The next year, the Ag Society arranged the construction of more buildings on the grounds. As a result in 1925, fair attendance totaled more than 60,000 persons. In 1926, professional automobile races and fireworks displays were offered for the first time. In addition, horse races, still a perennial favorite, were also held. 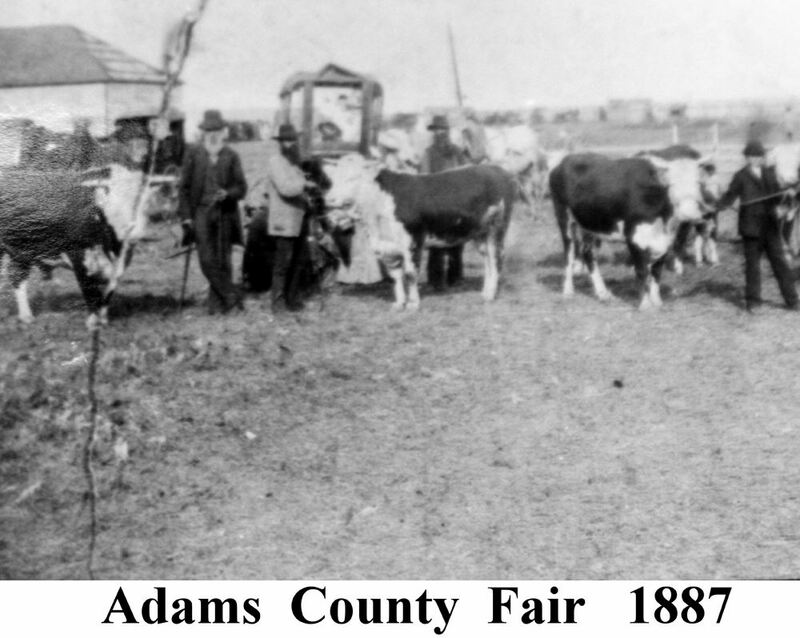 In an eight-year period during the 1920s, the Adams County Fair surpassed all Nebraska county fairs in both the number of people who attended and exhibits shown. During the 1923 fair, one of the exhibits was a cow carved from between 500 and 600 pounds of butter! J.E. Wallace, a Hastings native, created this unorthodox project; he was most well-known for works displayed at state fairs or national dairy shows. To keep the masterpiece intact, preparers created a special refrigerator packed with 2,700 pounds of ice. The 1930s brought not only the Great Depression, drought, and lack of crops, but also major struggles for the fair board. 1932 was the year of the electrical exposition, an elaborate display designed to show off Hastings as one of the largest municipally-owned electric plants in the United States. The most eye-catching attraction of the event, an electrical fountain with colored lights and jets of water, which The Water and Light department erected, stood in front of the bandstand. Once the fair was over, groundskeepers moved the fountain from the fairgrounds to Highland Park, located at Twelfth and Denver. In fact, this fountain still resides there today. Besides the excellent attractions of the electrical exposition, the board also eradicated the cost of gate admission in an effort to draw even bigger crowds to the annual fair. By the late 1930s and early 1940s, the Depression had lifted enough that attendance sky-rocketed, and livestock displays reached new heights. Although World War II caused the cancellation of the fair, a garden show at the city auditorium offered an economical substitute; it was an effort to conserve gasoline and other scarce commodities. The garden show featured displays of grain, vegetables, flowers and canned goods. These were the years of the Victory Gardens, and there was a lot of competition to see who could grow the biggest radish or turnip. In 1945, at the conclusion of the war in Europe, the fair was reinstated at the old location on Burlington Avenue. 4-H members, vocational agriculture students, and Boy and Girl Scouts contributed fantastic exhibits for the festival. From then on, as special breeders’ groups began to hold specialized shows of their own—Quarter Horses, Angus cattle, and others—the role of Open Class diminished, and gradually, through the years, the fair has become more and more of a 4-H club activity. In 1950, the high school board began negotiating for the site of the fairgrounds, as they wanted this location for the proposed Hastings senior high school, and eventually they purchased it. For a year or two after that, the Adams County Fair was held at Lib’s Park, north of Fourteenth Street on the west side of Baltimore Avenue. However, the city of Hastings soon acquired the area as a part of the municipal park system. On June 11, 1951, the Adams County Fair Board purchased 40 acres of land at the junction of Highway 6 and 281 southwest of Hastings, bordering on South Baltimore Avenue. The previous owner of the land, Frank Kealy, donated some of it to the Fair Board. Meticulous planning and design eventually allowed for the construction of a new racetrack, grandstand, and later, more exhibition buildings. 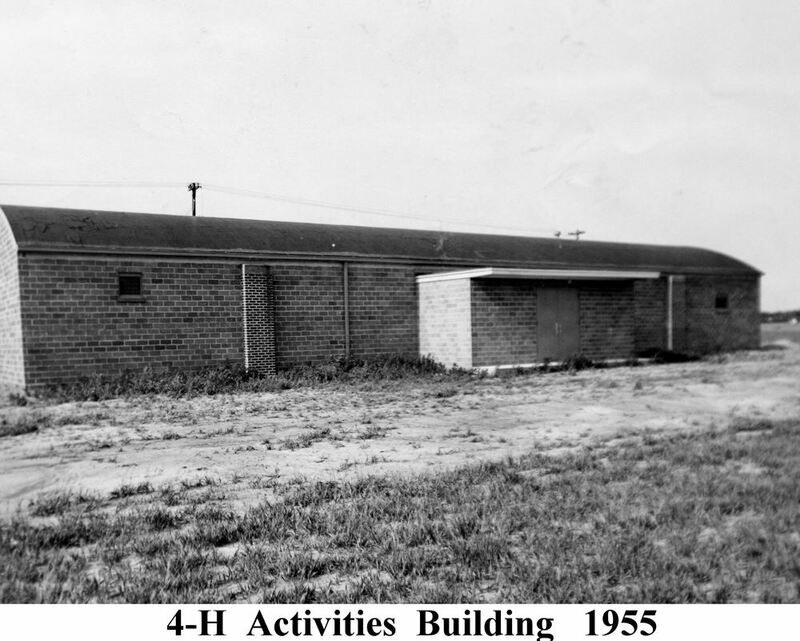 The brick structure known as the 4-H Activities Building was erected in 1955 at a cost of $40,000. After the fair moved its location to the southwest part of town, the type of exhibits gradually changed, so that over the years, Open Class exhibits dwindled in importance. By the mid-1950’s, 4-H members offered the majority of livestock, sewing, cooking, and other exhibits that used to be primarily Open Class. 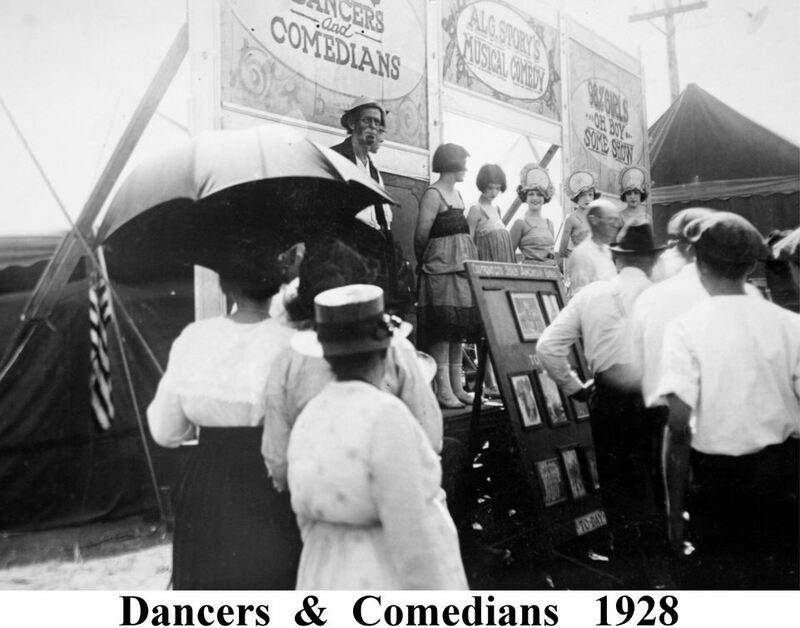 Evening entertainment during the week of county fair has varied over the past twenty years. They have included rodeo presentations, some just by single outfits. For four years, the professional organization which awards points for rodeo performers, assisted in those shows. Many events stirred up the dust in that arena, including calf-roping, bulldogging, bronco-busting, and many, many more. One year, in an effort to boost gate-receipts, the fair booked James Drewry, star of the television show Laramie as a guest performer; event-goers may remember him as the man that fell off his horse in front of the grandstand. Another year, Slim Sherman, also an actor in television westerns, performed for the crowd. Nevertheless, these rodeos raised problems for the grounds, as they spent more money than they brought in. The cost of chutes, fences, stands, and copious amounts of livestock exceeded gate revenue. Consequently, the board brought stock-car racing to the fairgrounds for evening performances in the 1960s. In 1972, entry to the county fair again became free, and the only revenue came from grandstand ticket purchases. 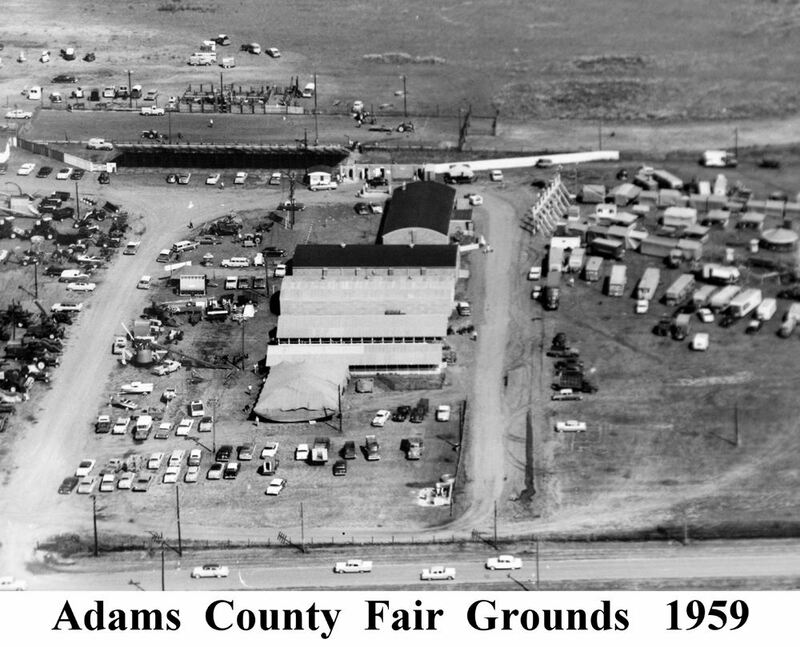 A typical evening during the 1970s Adams County Fair had approximately 6,000 people attending, even though they may not have attended grandstand performances. People did not only use the fairgrounds during fair time, though. Various organizations and people held horse shows throughout the year – most likely due to a revival of interest in raising and riding horses. On a regular basis, the board still planned stock-car races, which always attracted thousands of spectators. The Adams County Fairgrounds has a variegated past, but it still continues to offer an excellent location for not only the annual Fairfest, but also the Nebraska High School Finals Rodeo and the Oregon Trail Rodeo. It has also become a fantastic venue for weddings, birthday parties, graduations, and many other events.